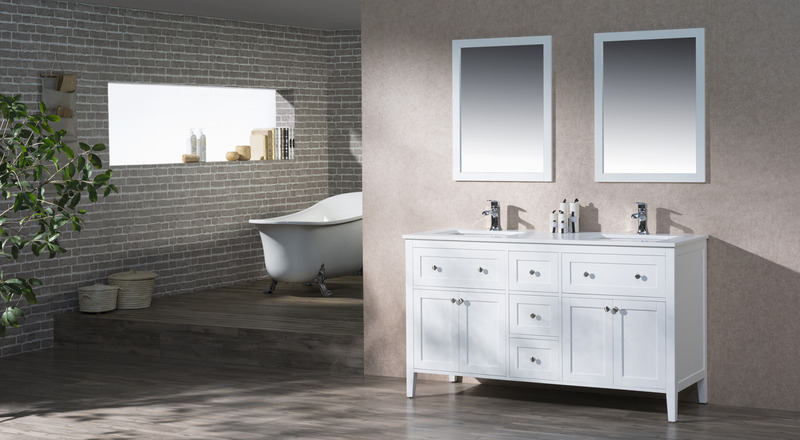 Inspired in the classical shaker design, the Victoria collection is a perfect marriage of function and contemporary elegance. 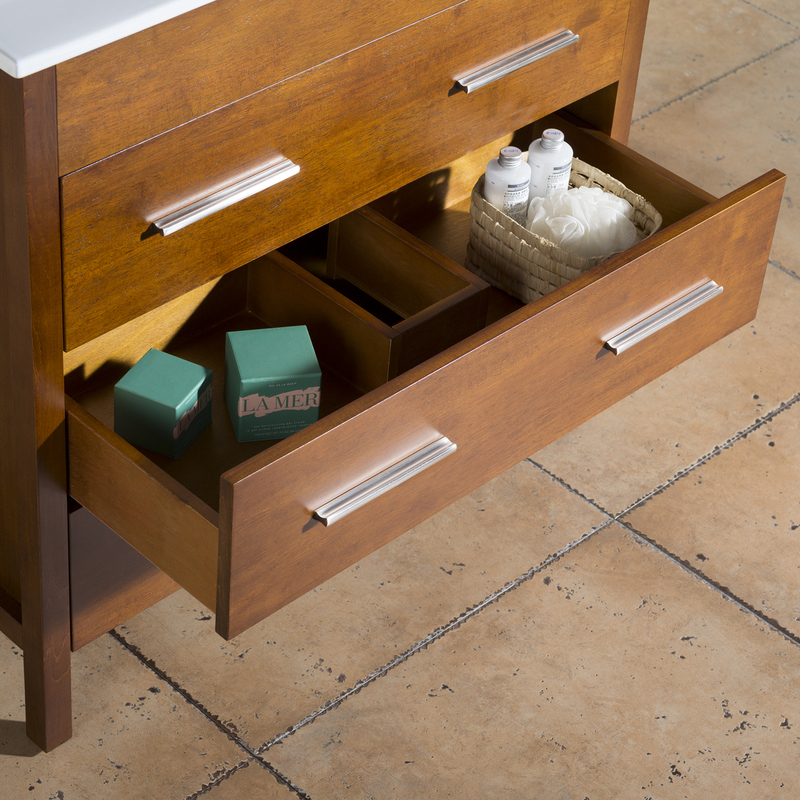 The slightly angled legs gives this collection a soft feel but with enough character to draw the attention of the room. 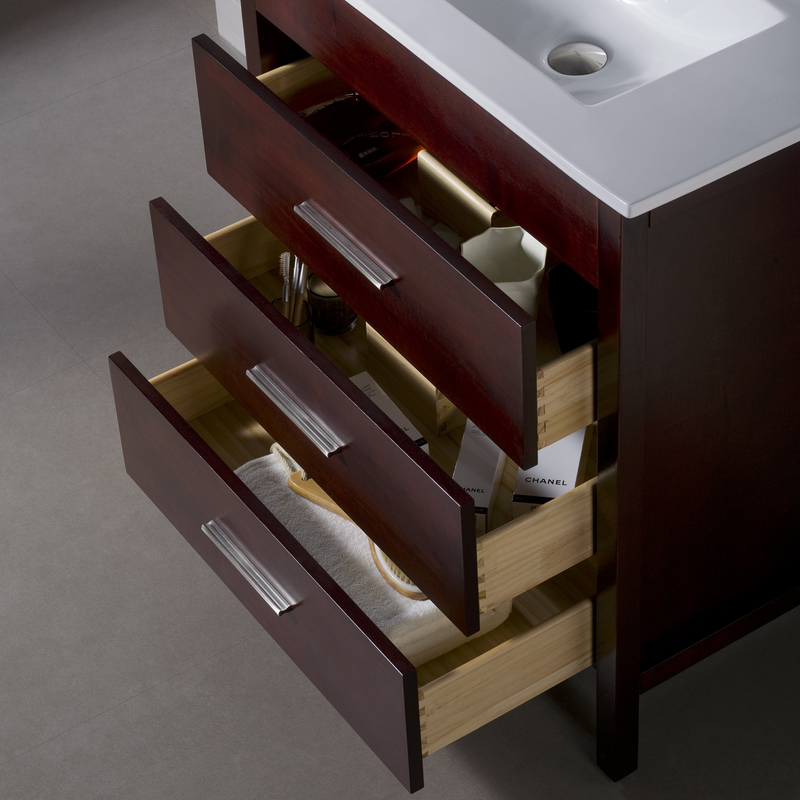 The soft close drawer was placed purposely at the top for the convenient access of your everyday toiletries. 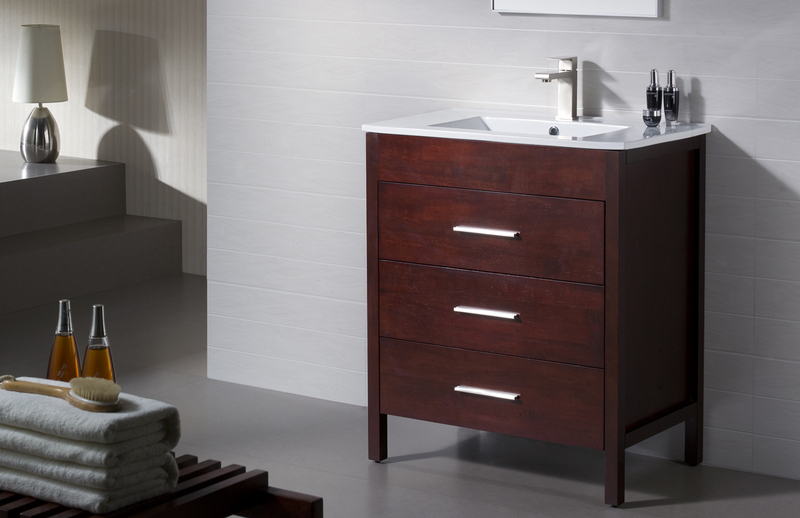 Available in the solid tones of White and Espresso, or in the rich warm color of Walnut wood finish. 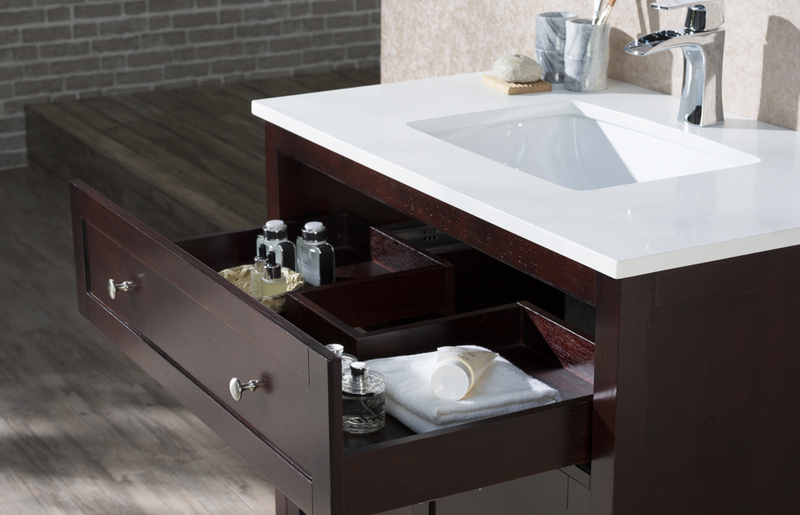 Elegantly finished in Matt White, Dark Walnut and Espresso Stain. 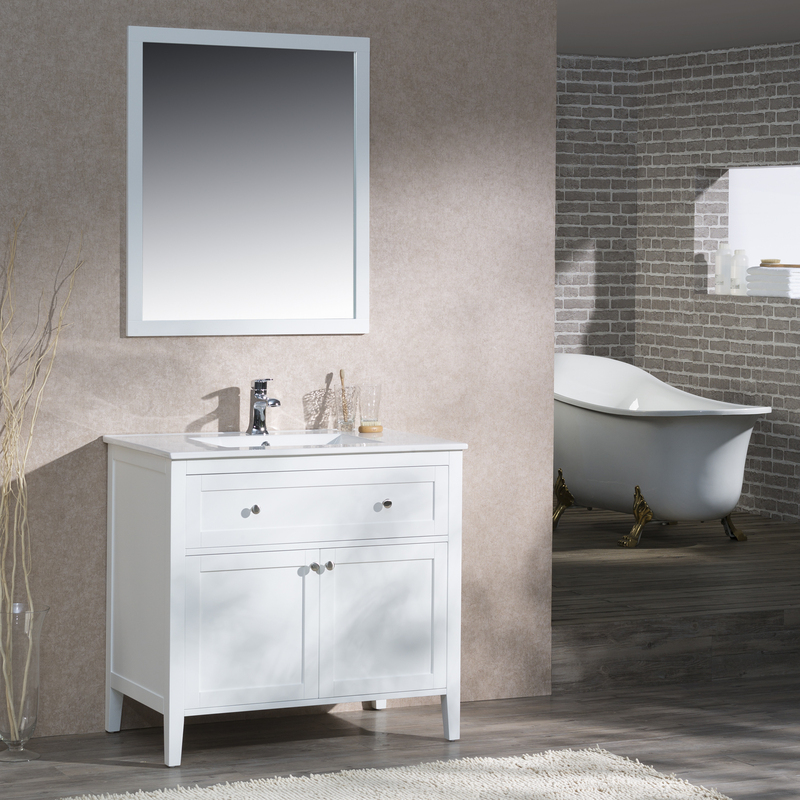 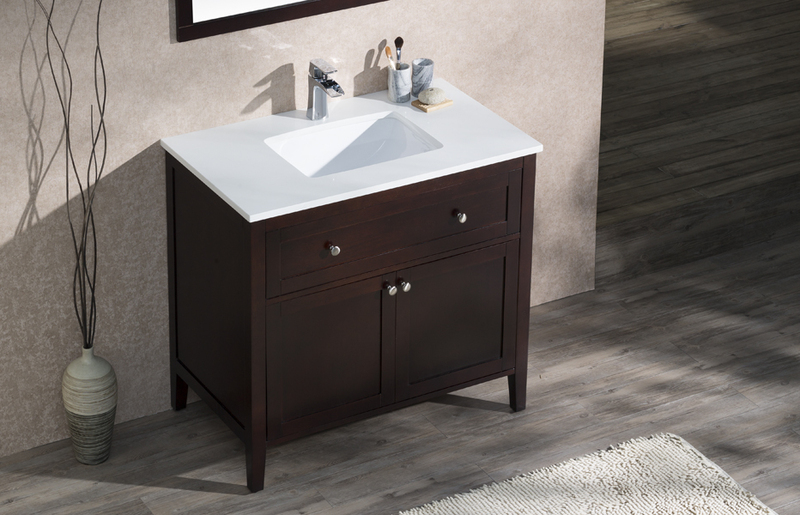 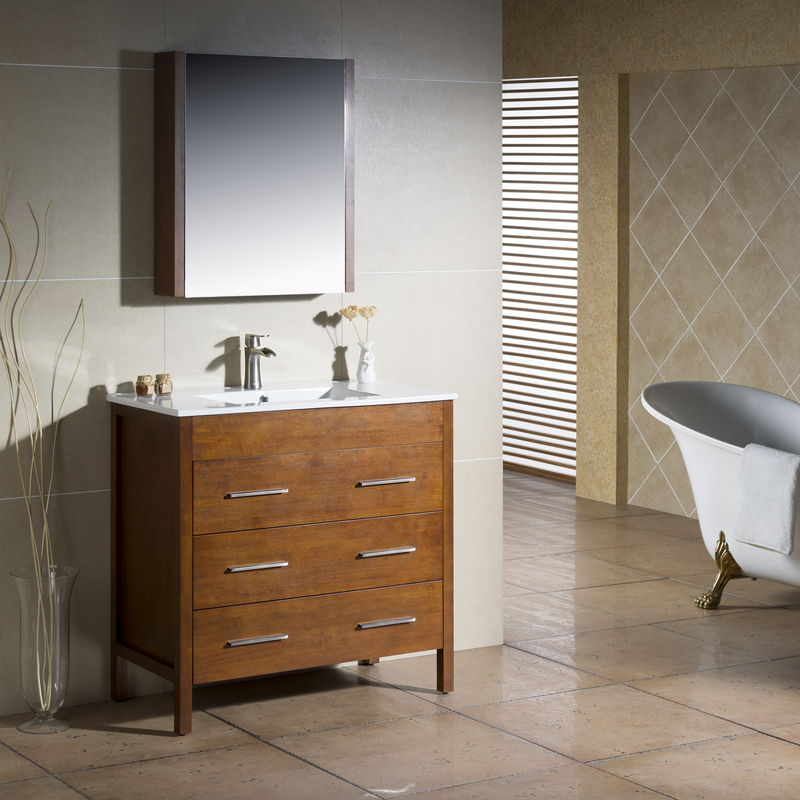 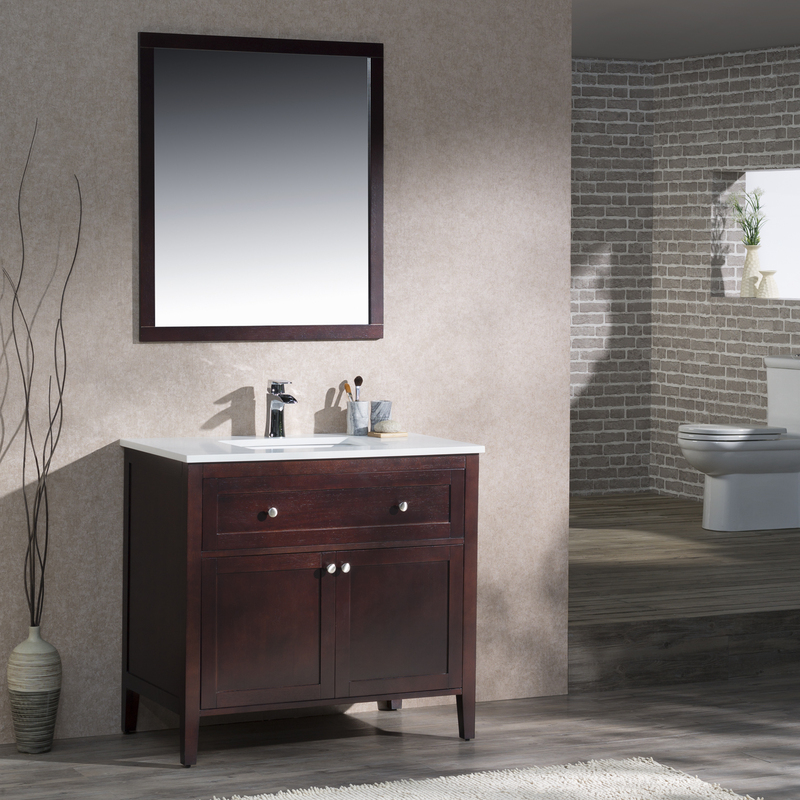 Capture the best of modern and transitional style with the Morris vanity. 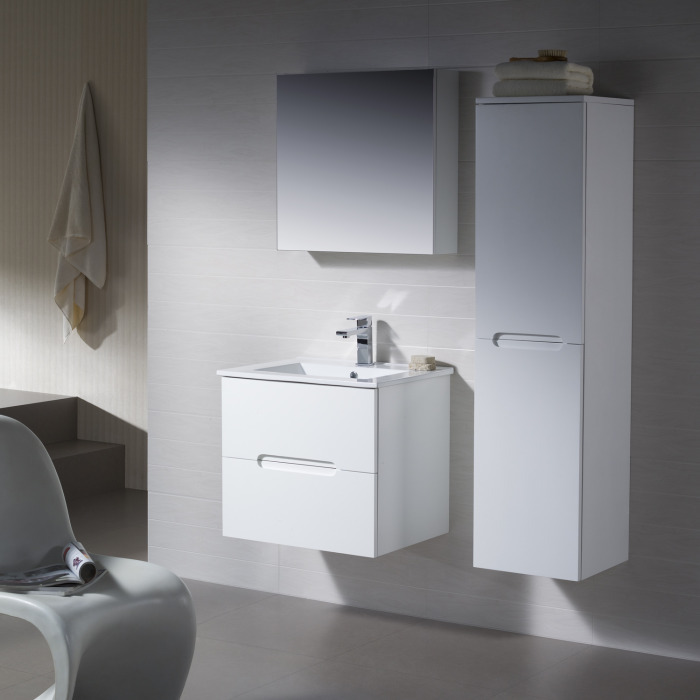 It features an abundance of soft close drawers for easy and convenient access of the everyday toiletries. 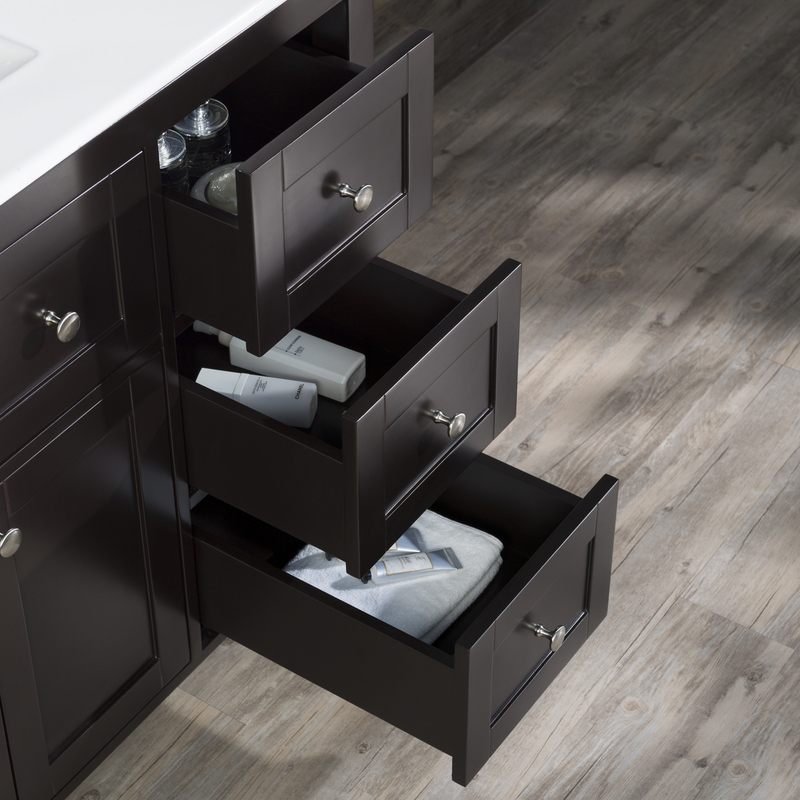 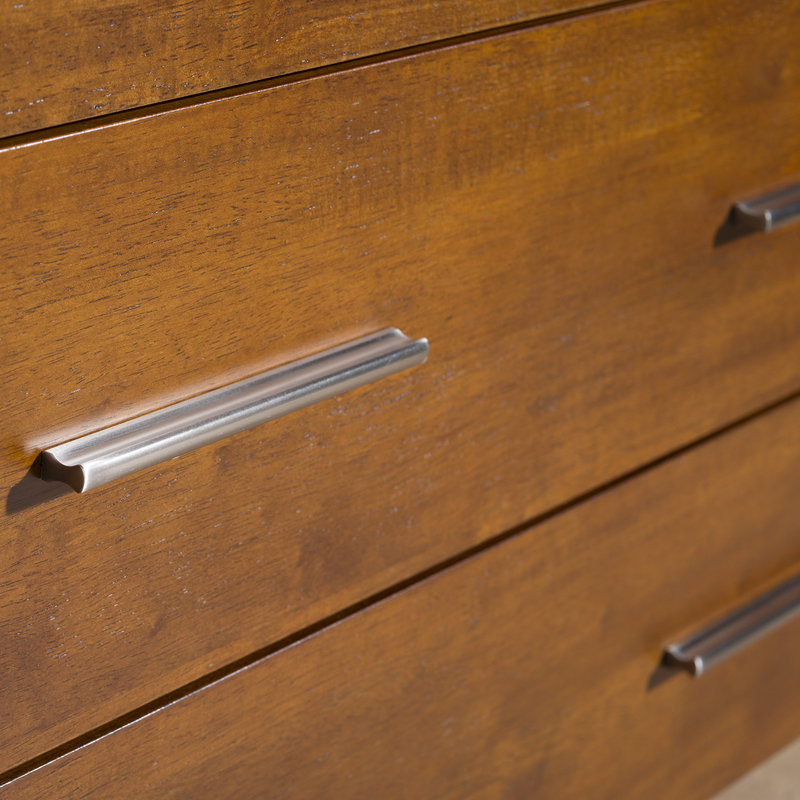 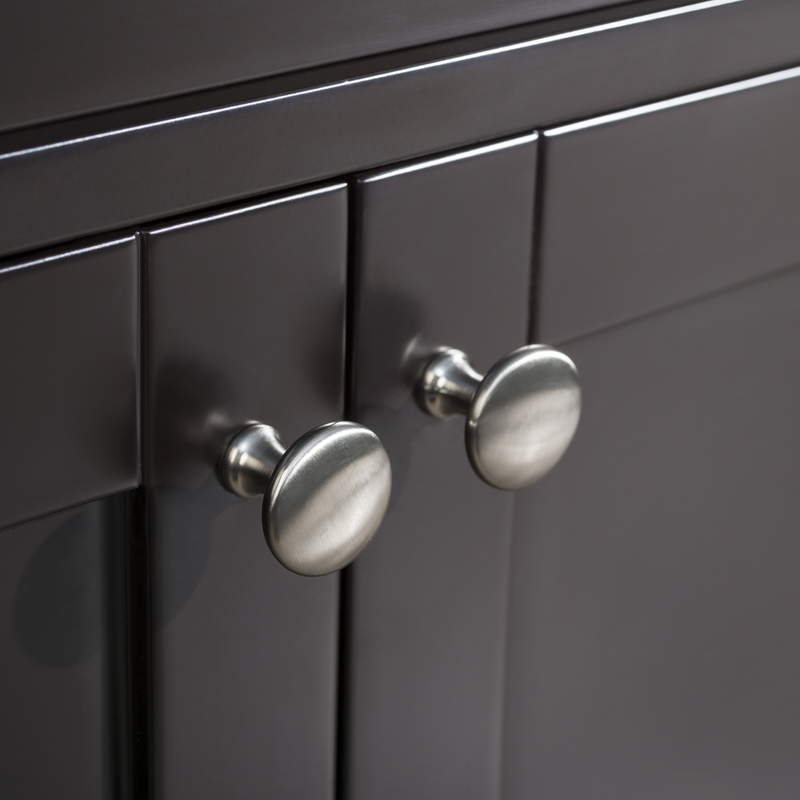 The sleek look of the Morris vanity gets completed with our beautiful and easy to grab drawer hardware in Brushed Nickel finish. 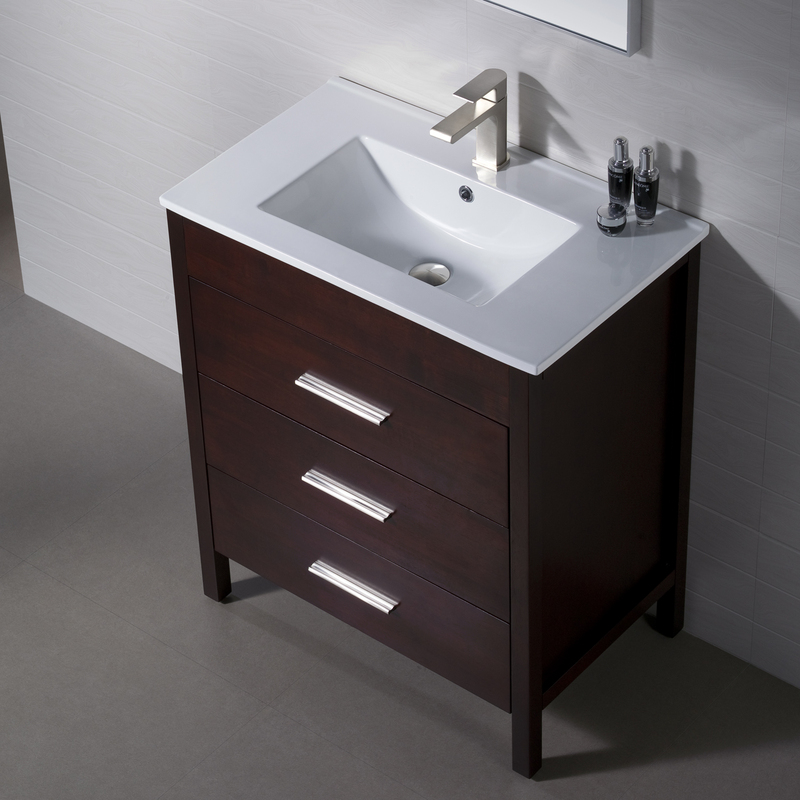 Available in two sizes 30 and 36 inches, and a variety of finishes: Matt white, Dark Walnut, and Chestnut.